Does the Atonement Imply Universalism? 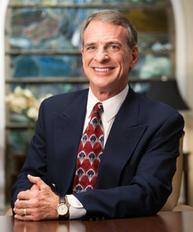 This is the weekly Q & A blog post by our Research Professor in Philosophy, Dr. William Lane Craig. I'm growing more skeptical about Christianity and was wondering if you could answer a question about the gospel. When Jesus was on the cross he either paid for all sin or some sin. To pay for some sin would mean limited atonement which is not what scripture teaches. But if Jesus paid for all sin then why are some people who are in Hell paying for their sin? 3 Therefore, Jesus did not pay for all sin. So it's obvious we should reject the view Jesus paid for all sin. The limited atonement view contradicts what scripture about salvation being open to anyone. So which way is right, and how do we answer the problems with that view? Thanks so much! I really enjoy your work. I agree with you, Alan, that Christ died, not just for the sins of the elect (limited atonement), but for the sins of the whole world (1 John 2.2). But it seems to me that the fairly obvious answer to your question is that if you reject Christ’s payment for your sins, then you have to pay the penalty yourself. Only Calvinists, who deny libertarian human freedom, would be troubled by your question, which is precisely why the doctrine of limited atonement finds itself only in Reformed circles. The person who believes in libertarian human freedom can consistently say that while God offers you the gift of forgiveness and eternal life on the basis of Christ’s atoning death, if you reject that gift, then you will remain unforgiven and culpable for your sins. So I would without hesitation reject premiss (1) above. Those who reject Christ’s atoning sacrifice for their sins and shut their hearts against God’s grace will pay for their sins. You might say, “But won’t God forgive them for rejecting Christ’s payment for their sins?” I find no such promise in Scripture. On the contrary, the Scripture says “if we deny him, he also will deny us” (2 Timothy 2.12), and Jesus warned, “he who denies me before men will also be denied before the angels of God” (Luke 12.9). The sin of rejecting God and His grace is a sort of meta-level (or higher order) sin that cuts one off from the provision for sin that God has provided. It is really this meta-level sin, not first-order sins, that sends people to hell. There is no suggestion in Scripture that Christ’s atoning death covers this meta-level sin. On the contrary, Jesus said, “Truly, I say to you, all sins will be forgiven the sons of men, . . . but whoever blasphemes against the Holy Spirit never has forgiveness, but is guilty of an eternal sin” (Mark 3.28-9). In the historical context, Jesus’ remark was triggered by unbelievers’ attributing God’s work in Jesus to Satan. More generally, the sin consists in resolutely resisting the Holy Spirit by refusing to recognize God’s work in Christ. When an unbeliever commits this sin, it is called “blasphemy against the Holy Spirit”; when a Christian commits this sin, it is called “apostasy” (Hebrews 6.4-8; 10.29-31). In either case, it is unpardonable. Why? Because it is a meta-level sin that separates one from Christ and the payment he has made for our sins. Now if you want to include this meta-level sin in the domain of “all sin,” Alan, then the conclusion of your argument that Jesus did not pay for “all sin” is unproblematic for the biblically faithful Christian. But I suspect that the domain of Jesus’ universal quantifier in Mark 3.28 is all first-order sins, since he goes on to speak of a sin which is unpardonable. What disturbs me most about your question, Alan, is your comment that you are “growing more skeptical about Christianity.” You’re moving in quite the opposite direction of others who wrote me questions this week, for example, a medical practitioner in the UK who reports that his study of doctrine and apologetics “has added considerable substance to my faith and energized my walk with God.” If the grounds of your skepticism lie in arguments like the one you shared, then you need to study harder Christian theology and apologetics. May I recommend our Defenders podcasts on this website? It would be a tragedy for you to lose faith over misconceptions. Learn more about Dr. Craig’s latest book, A Reasonable Response. Before animated movies of "The Pilgrim's Progress"